This entry was posted in Cricket and tagged Clutch, cornered, India, Pakistan, sidvee, Team India, Tendulkar. Bookmark the permalink. I largely agree with the views expressed here. Cricket, by itself, perhaps doesn’t lend itself easily to a “clutch” moment given the vast variations in skill within a team, environmental conditions having a strong bearing on results, strong dependence on team members, etc. Perhaps ODIs provide a more normalized platform to elicit “clutch” performances.. And if we include ODIs in the search space, I’d argue that the two back-to-back centuries against Australia in Sharjah in 1998 clearly belong to this set. Wonderful post. One of the best I have read ! I was privileged to watch the game at the ground. Tendulkar was so distraught at the end of the game that he refused to come out to receive the MOM award. He was apparently inconsolable. Md Azharuddin received it on his behalf. It was also rumored that Anshuman Gaekwad, then coach of India, had cautioned Tendulkar at the start of the chase that game may have been fixed. Tendulkar apparently comforted him saying that as long as he was at the crease he would not let the game be taken away. Mongia’s wicket came out of nowhere, had all the makings of something dirty. 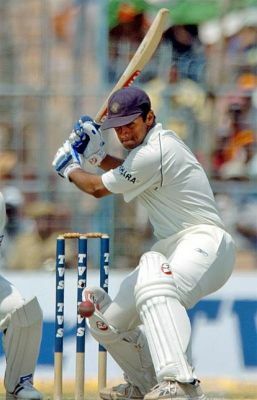 The inside out shot that Tendulkar got out of caught at mid off by Akram was a good idea that unfortunately didnt come off. I totally agree that the Karnataka quartet got away scot free. If I were one of them, I would feel life long guilt. I totally agree with you that the clutch idea simply doesn’t fit with a team sport. It certainly does not apply to Tendulkar particularly during the time india wasn’t a good enough team to start with. Th fact that the man got india close so often with a mediocre team and boasting of players with questionable integrity was more than clutch for me. I simply have no time for people (however reputable they might be) who continue to queation his achievements.